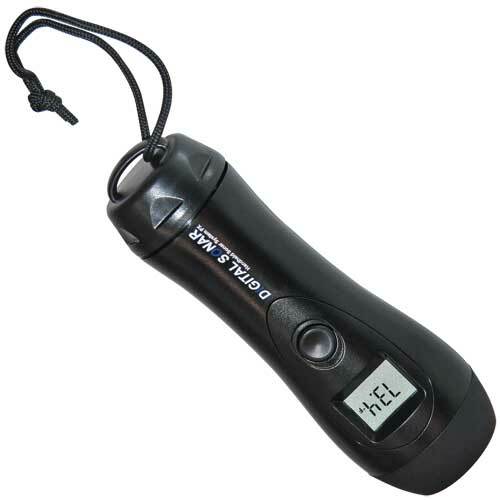 This handheld depthfinder looks where you want it to, when you want it to! Works where no other depthfinder can, and is now 60 percent more powerful! Shoot through thicker ice or muddier water to find water depth, dropoffs or ledges, or pinpoint hiding fish up to 200' away. Take it diving, snorkeling, crabbing or swimming; it is submersible up to 200' and it floats. Algorithmic programming virtually eliminates false readings, and the display updates four times per second for instant depth and temperature readings. No need to constantly watch the display for depth readings, because it flashes the last reading for five seconds after removal from the water. Shoot-thru technology allows readings through solid fiberglass hulls, as well as ice.